Obituary for Georgia Faye (Crislip) Brais | Fleming & Billman Funeral Directors, Inc.
Georgia F. Brais, age 75, of Ashtabula, died Tuesday morning in the Hospice Unit at the Ashtabula Co. Medical Center. 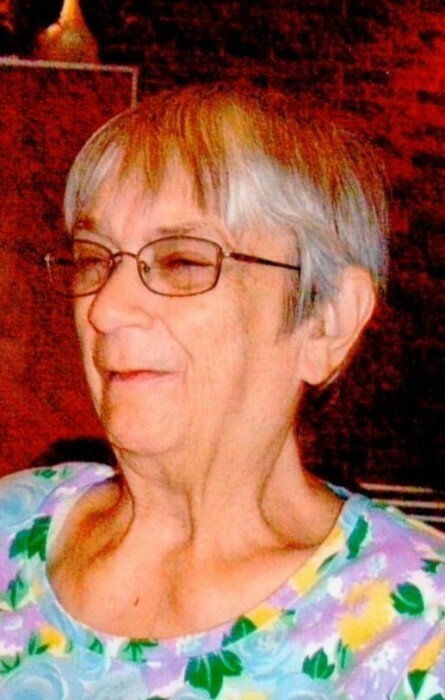 She was born June 8, 1943 in Geneva, the daughter of Harley & Helena (Wheeler) Crislip and has been an Ashtabula County resident all of her life. Georgia was a 1961 Ashtabula High School graduate. She was married to Ronald E. Brais on August 3, 1968 at the First Baptist Church in Ashtabula. Georgia was a lifetime and active member of the First Baptist Church, teaching Sunday school more than 45 years, served as Deaconess and in the nursery and was part of the Missionary Circle. Through the years, Georgia did babysitting and cleaned houses. With her husband, Ron, they did lawn care service for shut-ins. Her interests include cooking, baking, quilting, knitting and camping. Her greatest joy was her grandchildren and great-grandchildren. Survivors include her husband, Ronald; a son, Timothy E. Brais of St. Joseph, MO; three grandchildren; six great-grandchildren; a brother, Neil (Mary Lou) Crislip and a sister, Linda Potts, both of Ashtabula. She was preceded in death by her parents, brothers, Franklin, Velores, Gerald & Herman Crislip and sisters, Kathleen Bloom & Marion Amsden. Funeral services will be held Monday at 4:00 PM at the First Baptist Church, 4353 Park Ave., Ashtabula, with the Pastor Don Jacobson officiating. Visitation will be Monday from 2-4 PM prior to the service at the church. In lieu of flowers, Ron requests memorial contributions be directed to the First Baptist Church (above address) or to Hospice of the Western Reserve, 1166 Lake Ave., Ashtabula, OH 44004, envelopes will be at the church. The Fleming & Billman Funeral Directors and Crematory and staff, Ashtabula, Jefferson & Geneva is privileged to serve the Georgia Brais family. To express condolences, view obituary & video or light a candle, visit fleming-billman.com.